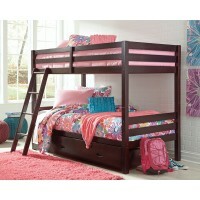 Made with Pine solids in a classic light brown finish. 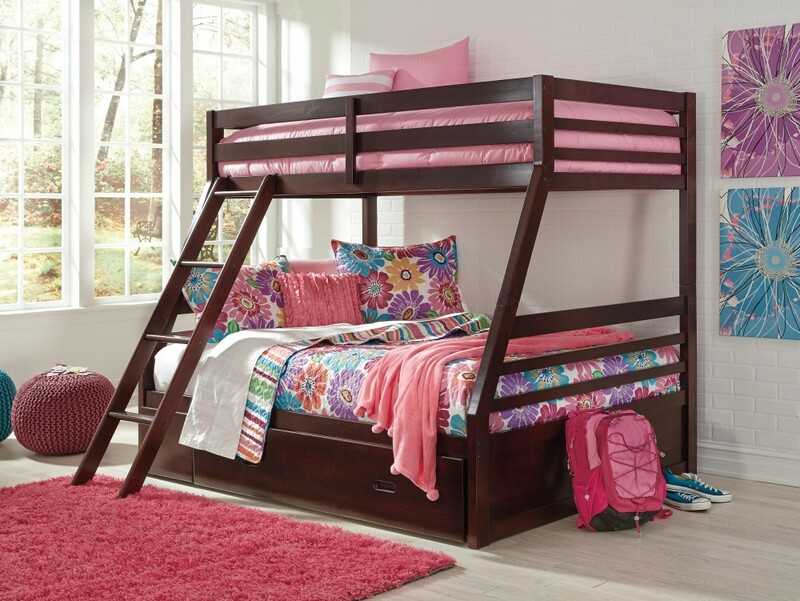 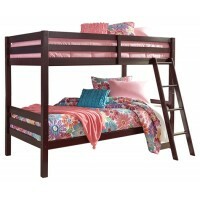 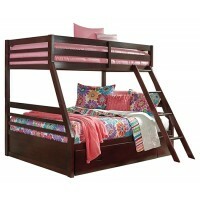 Twin over twin bed has horizontal rails, ladder and slatted mattress support and optional rolling storage drawer below the twin. 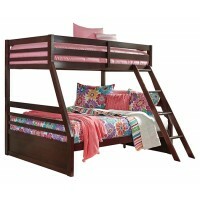 Twin over full that has horizontal rails, ladder and slatted mattress support and optional rolling storage drawer below the full.